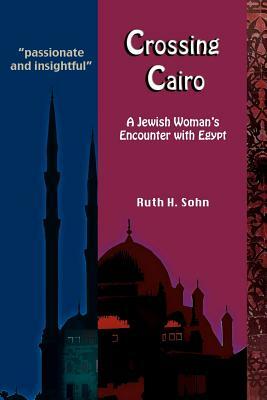 In Crossing Cairo, Rabbi Ruth Sohn has written an exceptional family portrait of the experience of living in Egypt with her husband and children. Advised not to share the fact that they are Jewish, they discover what it means to hide and then increasingly share their identity. Would it be possible to cross the boundaries of language, culture and religion to form real friendships and find a home among Egyptians? As she navigates new routines of daily life to make friends, find an Arabic teacher, and get to know the mysterious veiled woman that came with the rental of their apartment, Sohn takes us on a remarkable journey as she encounters the many faces of Cairo. In the Epilogue she returns to Cairo after the fall of Mubarak to find a newly exuberant and infectious patriotism and hope. Throughout this probing contemplation of self and other in a world that is foreign and in many ways inimical to her own as an American Jew, Sohn shows how even the seemingly mundane events of daily life can yield unexpected discoveries. "With remarkable evenhandedness and...openness, Sohn has written a provocative and mesmerizing book of extraordinary passion and insight. I could not put it down " Rabbi David Ellenson, President Hebrew Union College-Jewish Institute of Religion.